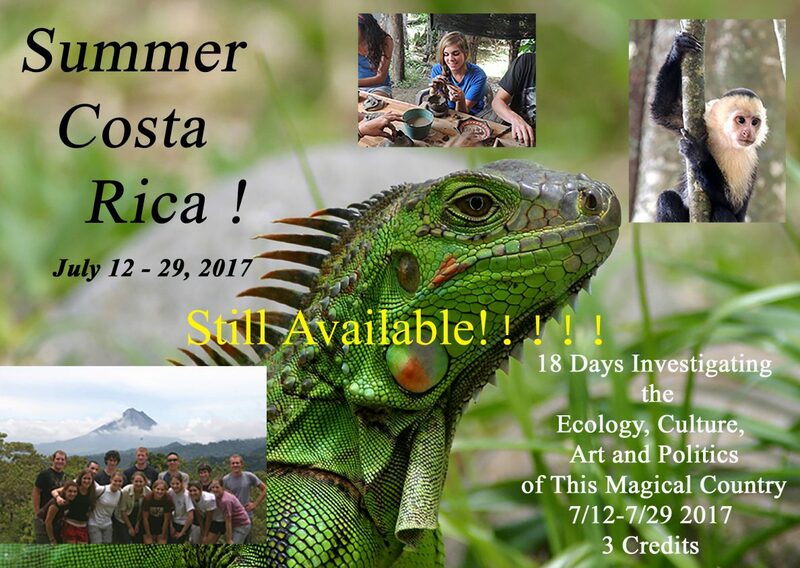 A wonderful component of the course this year was the addition of three Costa Rican scholarship students, coordinated by our host institute in Costa Rica, the Monteverde Institute (MVI) http://monteverde-institute.org/. These students added not only their amazing and wonderful personalities to the mix of LMU students, but their knowledge of the local flora, fauna, and culture of Costa Rica. We are grateful to MVI for making this opportunity possible for these students, and for making our trip even better and memorable, with the addition of Rafa, Greivin, and Cristina. We wish the three of them all the best in their work, family businesses, upcoming studies, and their other personal endeavors. We are eager to continue collaboration with them on all the research projects the group started in Costa Rica during the course trip: human-animal bond, hummingbirds, and non-profits. Pura Vida! Previous Previous post: Wed, July 26th, Walk in the Tropical Dry Forest; Explore Nosara Mangroves by Kayak; Stop at black sand beach to enjoy tropical fruit! Next Next post: Day 16, Thur, July 27th – Tide pools and Snorkeling at San Juanillo Beach + Piñata for Ash’s 20th Birthday!